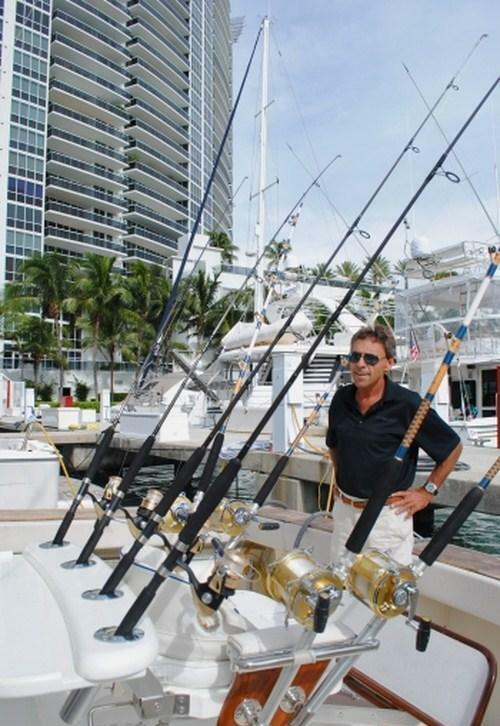 Florida and the Bahamas offer great fishing grounds and the Viking Sport yacht BLUES CURE is well equipped and a perfect option for novice and enthusiasts alike. 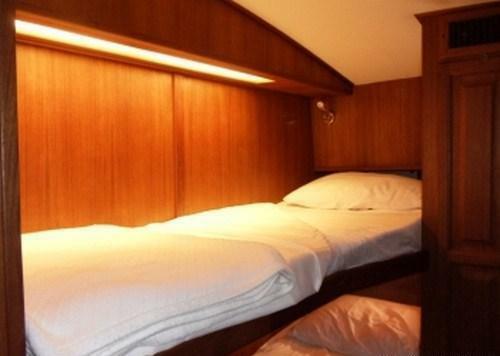 Charter yacht BLUES CURE measures 14.6m (48ft) and can accommodate up to 4 guests in 2 cabins, with long range capabilities, she is the ideal choice for a family adventure or a boys week away. 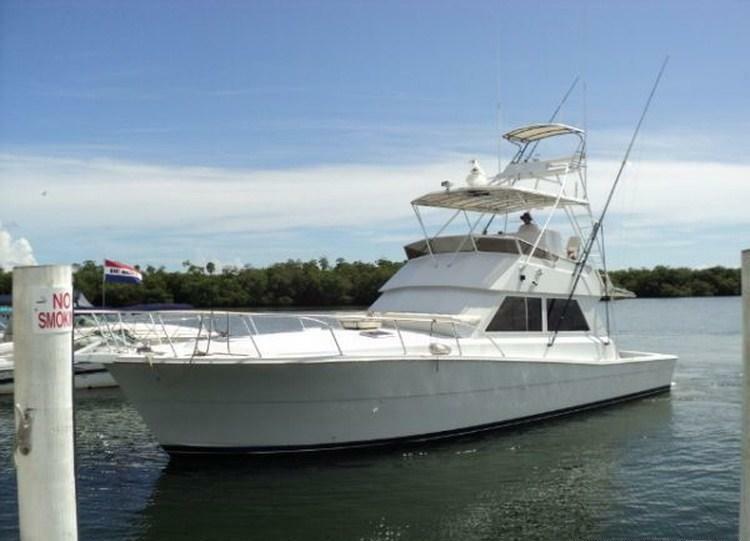 Motor yacht BLUES CURE was built by Viking yachts in 1987, she offers a spacious casual interior. 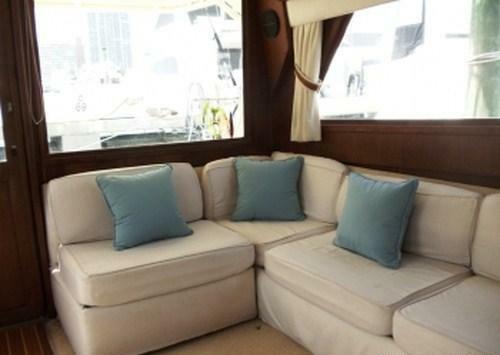 The salon is an open plan with wide panoramic windows for ample natural light, Aft, the lounge offers an L shaped sofa, coffee table and TV/DVD entertainment. 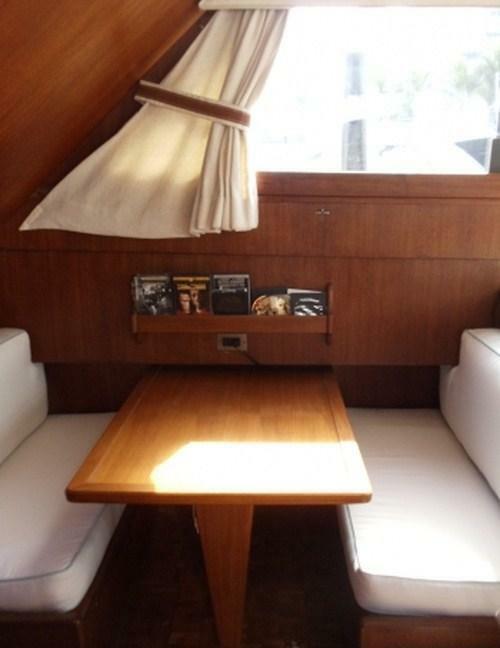 Further forward on the port side, is the galley with bar, adjacent and on starboard, is the custom built formal dining table. 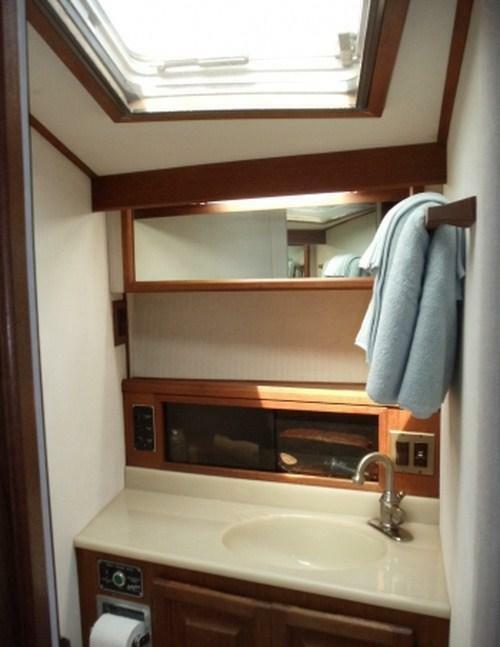 Guest accommodation aboard the M/Y BLUES CURE is forward of the salon, in 1 full beam master suite and one upper and lower bunk cabin, both offering en-suite facilities with showers. 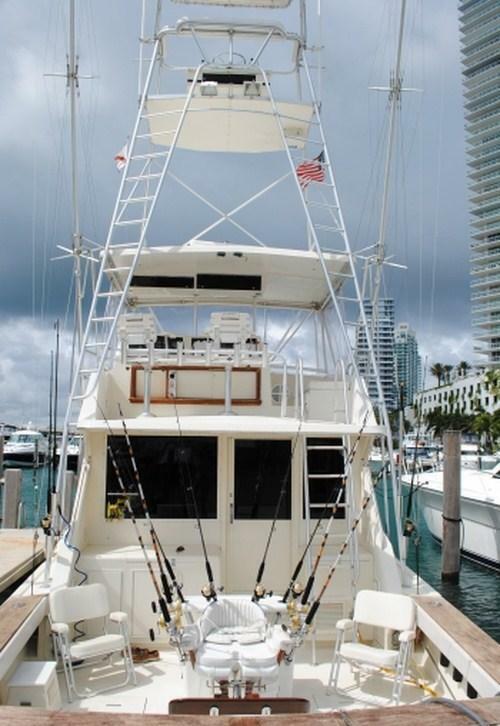 Exterior living on the American built Viking Sport fishing yacht BLUES CURE is generous. 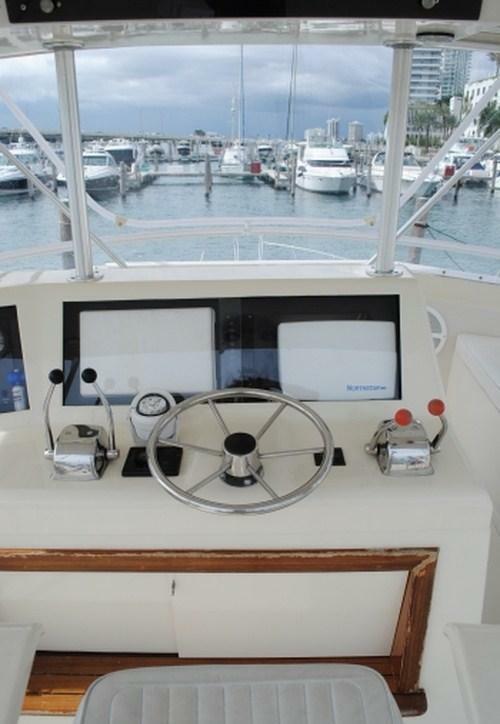 The aft cockpit is massive and boasts a wide range of fishing gear from light to deep sea fishing. 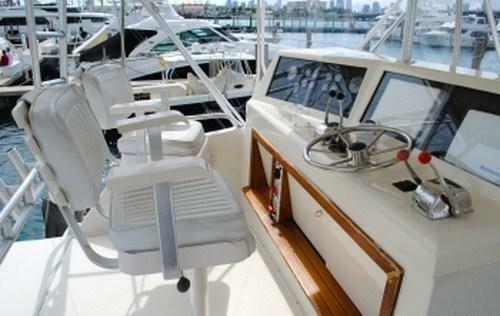 A fighter seat and side seats enable everyone to enjoy the action. 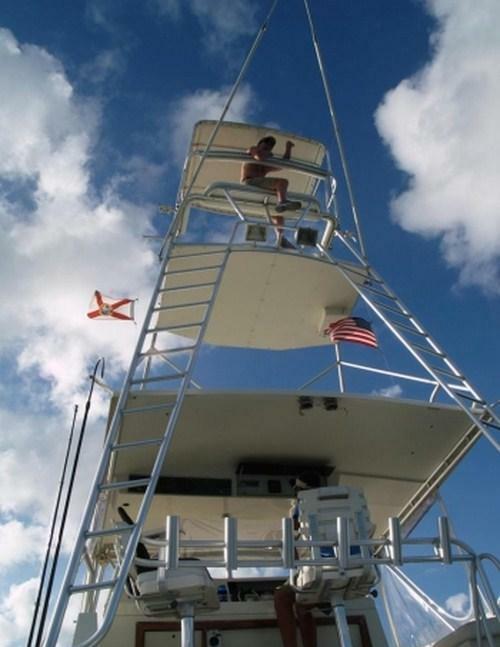 Water access is made effortless thanks to the full beam extended swim platform. 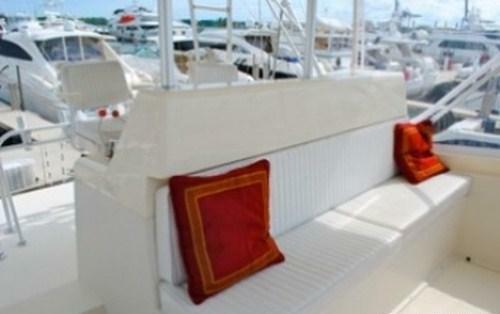 Above, the flybridge and outrigger deck offers additional seating and optimum views. 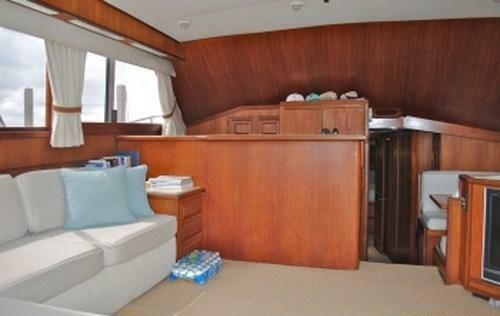 When at anchor relaxing the foredeck is perfect for the sun worshipers with plenty of sunning space. 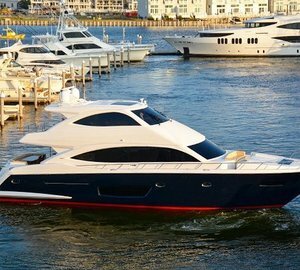 Charter yacht BLUES CURE is powered by a Detroit diesel 735hp engine, she cruises easily at 8 knots and can reach top speeds of 27 knots. 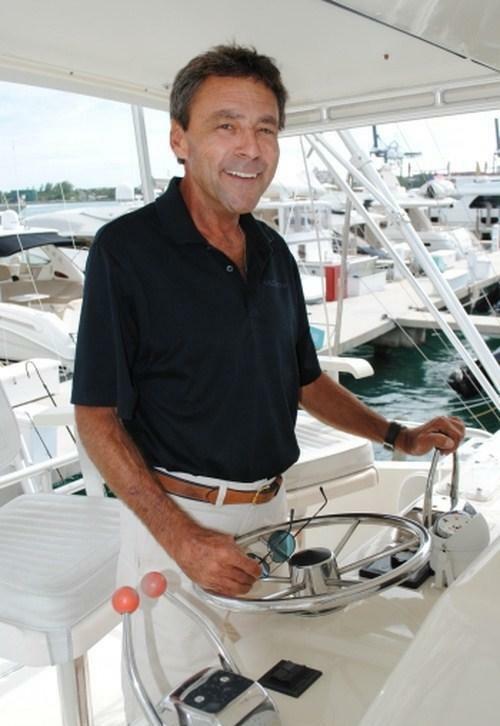 The BLUES CURE motor yacht offers comfortable accommodation for up to 4 charter guests. 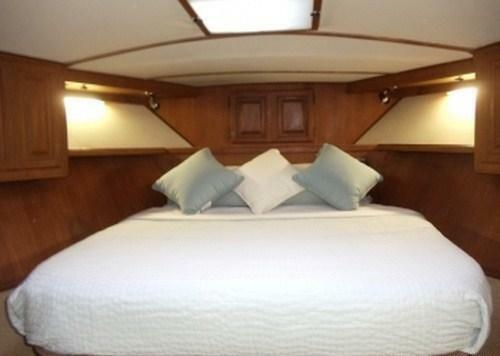 The master cabin is forward and full beam of the yacht with a center lined double bed and en-suite facilities. 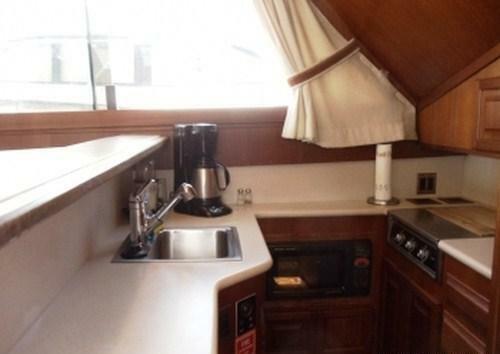 Amidships on the port side is a double guest cabin, offering upper and lower twin bunks and en-suite facilities.